Add a dash of color to your Indo-western look with these multicolor stone earrings. 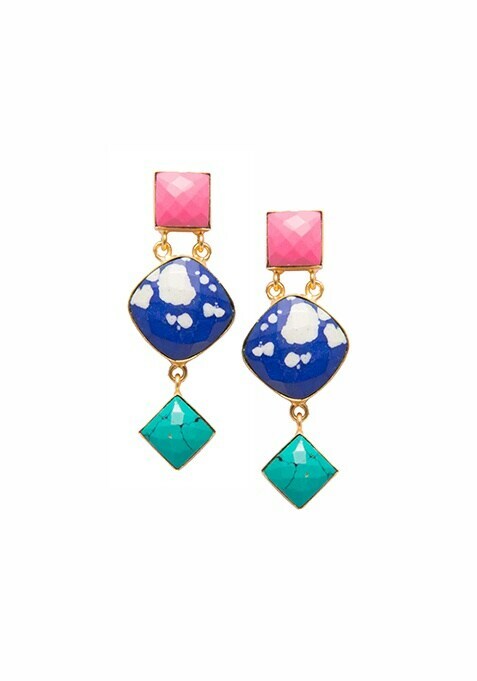 These feature pink, blue and green stones making them ideal for a variety of colors. Work It: Pair these earrings with any solid colored tunic of your liking.